OpKey Recorder is action recorder utility which is used for recording actions performed on web, mobile & desktop applications for Test Automation. OpKey Recorder is usually referred as OpKey Smart Recorder which is a complete recorder package & works as a Web, Mobile, Desktop, Java, Salesforce, Workday, Oracle as well as OracleFusion Recorder. While beginning recording session, you need to choose the platform (Web, Mobile or Desktop) on which you want to perform recording. 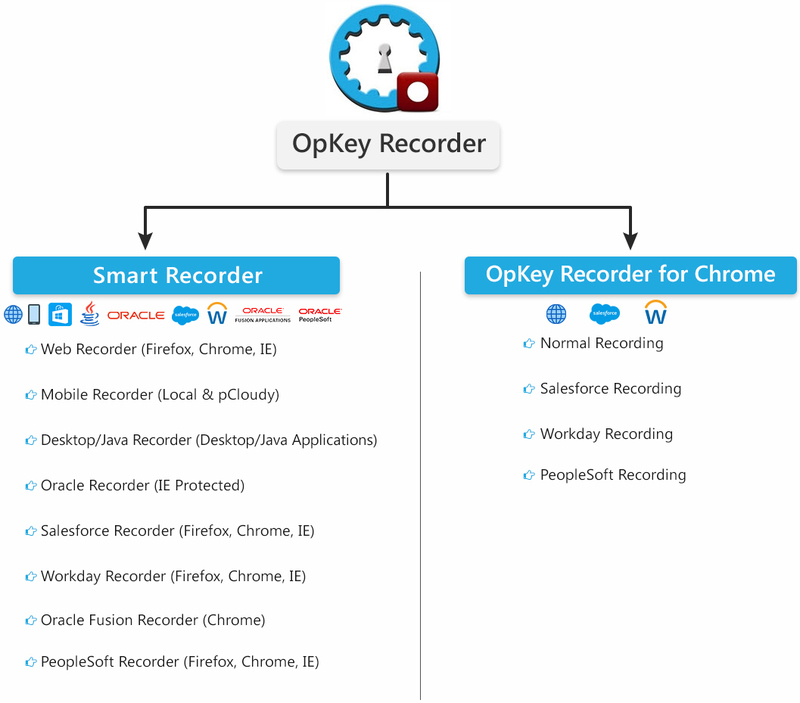 If you are performing recording on Web, mobile or Desktop application for the first time, you need to install OpKey Smart Recorder. Once it is installed, you can perform recording on the supported platform applications.